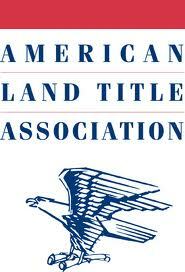 An ALTA Title Survey in Tennessee is generally similar to a boundary or lot survey on a piece of property. But, the ALTA survey goes a little farther in the requirements on the land surveyor as he/she carries out the survey, both in the field and in the office. So, if you have a commercial parcel or a large multi-family residential complex in the ​Jasper area, you should consider asking for the ALTA survey standards to be used. You should also probably do this if you are considering the purchase or development of a parcel outside your state. Most of the banks will require this if you ask for a loan on this type property, but I recommend this even if the bank doesn’t require it. If we can help you with an ALTA Title Survey in the future, please don’t hesitate to contact ​Jasper Land Surveying at (423) 301-8001 or fill out our contact form.